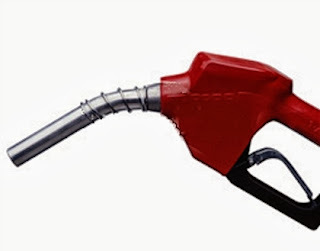 I recorded my personal best fuel efficiency yesterday, on Mary Ann's 2005 Burgman 400. It was 89 mpg (Imperial units), which is approximately 75 mpg (U.S.) or 3.15 litres/100 km. This achievement was just in time for the Burgman, as we were already shopping for a replacement scooter, but now I think we will keep the Burgman for a few more years at least. Mary Ann originally liked the Burgman 400 because of its gas mileage. Last summer, it averaged 83 mpg (Imp) travelling from Ontario to the west coast and back. The actual 89 mpg result was on a 135 km. trip from Kitchener, Ontario to Dutton Ontario. As I left Kitchener, I filled up at a Petro Canada station. There was a 5-10 kph north wind, while I was going south west, so that helped a bit. I did the first 37 km on city streets or country roads at 60-80 kph. Then a distance of 87 km on the limited access highway "401" at 90 to 110 kph. (These are indicated speeds, so I may have been going 10% slower.) The last 18 km were on a country road at 60 kph. I may also have benefited from following in the air wake of some slower trucks on the 401. But I was not "drafting", I hope I left enough space to be safe. Normally I leave more than 3 seconds space, but at times I was not leaving that much. So now I find it more believable when I see on the eco-modder website that a Burgman 400 rider claims 101.9 mpg (Imp) for 90 days. My next goal would be to try and get 100 mpg going to Dutton, by avoiding the 401. I think the Burgman would get its best economy at 60 kph, not 100. However, that trip will take much longer than the very reasonable 1 hour and 45 minutes I took yesterday. I'm continually surprised at how many people in the USA believe the Bible is the literal truth of and almighty God, and yet do not actually know what the bible says. When I was growing up, both Protestants and Catholics in my home town took the position that some parts of the bible were stories, or at least needed some interpretation. We were told that God did not intend for every single word of the bible to be believed especially if it conflicted with reality, custom, history, science, common sense, or the laws of Canada. To me, extreme biblical literalism is a new phenomenon that is spreading to Canada mostly from the USA, especially from the southern states. It is no coincidence that slavery was allowed for many years in that area, because the Bible does say literally that slavery is allowed. Furthermore, the bible advises slaves to obey their masters, and tells masters they have the right to whip their slaves. The Bible's advice on whipping and slavery was probably the main historical factor in today's surprising resurgence in Biblical Literalism. And you would think it might be also the main argument against Biblical Literalism today. But it isn't. The battlefield seems to have moved to debating Evolution vs. Creation. Evolution vs. creation has given us some fine opportunities for clever debate, for example the scopes Monkey trial. So both sides seem to be content to keep the evolution debate going as if it was the deciding factor. The problem is that Evolution vs. Creation is a debate that ultimately pits science vs. faith. Science vs. faith is like apples vs. oranges. I don't like to put labels on the people who oppose science, because those labels sometimes are insulting, or misleading. Some people call it "blind" faith, but then sometimes the faith people like to call themselves the real scientists, as opposed to atheistic scientists. In one recent example, a movie was made linking Darwinists to Nazis and the holocaust. In any event, the evolution argument ends up in name calling, and basically a draw with both sides feeling insulted and oppressed. So even though it is very tempting for both sides to argue about the literal truth of the bible based mainly on evolution vs. creation, this approach is doomed to get bogged down in a perpetual name calling stalemate. The only way to really settle the question is to bring back slavery as the main focus. Slavery was what originally gave energy to the modern theory of Biblical Literalism. Slavery is not an academic question, because slavery affects people's lives directly in so many ways. Slavery is not something only found a million years in the past, it is something that we have historical records of and still exists today. And it can cause wars, like the US civil war. That's because when you try to make people slaves, they fight back, and somebody is going to get killed. So even though slavery is a really hot topic, and can lead to violence, I think that it is the main topic that needs to be dealt with if we are to consider Biblical Literalism. Almost everything else is a distraction, no matter how appealing the topic may be to atheists, scientists, or liberals. The only topic that approaches slavery as a hot topic might be the subject of homosexuality, but that was not the historical argument that gave most support to the Biblical Literalist movement. If you look close enough, you can find pages on the internet defending the Bible's words about slavery. Let me take this one for an example. On this page, a biblical literalist has decided to make a head on attack in the Slavery argument, stating that the Bible is not what promoted slavery, it is what ended slavery. This is partly true, in that many people who opposed slavery were bible believing Christians. But I think his argument is very weak, and in one important case entirely false. On this page is this statement. By saying "God did not allow the physical abuse of servants", he is implying that the bible did not explicitly state that masters were allowed to abuse their servants. This is a lie, as you can see right here. Notice above that according to the literal words of the bible, your slave may be beaten as long as the beaten slave does not die within a day or two. Broken legs? Chopped off ears and hands? Acceptable according to the Holy Bible, and punishments were accordingly meted out by so-called Christians. Today, southern Christian churches have apologized for supporting slavery, without however removing these words from the bible. Here is a second quote, about servants (also slaves). "And that servant, which knew his lord's will, and prepared not himself, neither did according to his will, shall be beaten with many stripes." "But he that knew not, and did commit things worthy of stripes, shall be beaten with few stripes. For unto whomsoever much is given, of him shall be much required: and to whom men have committed much, of him they will ask the more." This statement on the biblical web page, that the Bible does not allow physical abuse of servants is deception. Or call it simple ignorance, if you prefer to think that Christians cannot tell a lie. The truth is that you can not, and must not take every word of the Bible as the literal word of God. Picture: Kitten with cool whip. I am not using deception, I just like this picture better than slave master with actual whip. Who Won World War 2, Really? It seems to me that in western countries like the USA (and Canada too) that we are not learning the true history of World War 2. For example, we do not give the Russians enough credit for the win against Hitler. To go back in history to World War 1, the Russians folded quickly when the Germans attacked, and Russian leaders signed a peace treaty surrendering huge parts of the Soviet Union to Germany. The treaty was quickly repudiated by the Russians after the Allies defeated Germany and the war was over. But to Hitler, that treaty was still valid, meaning he thought much of the Soviet Union was still German property, and he was going to reclaim it. So with that little bit of background, it is easy to see why Hitler was intent on invading Russia. He was reclaiming "stolen" property. And the Russians had already proven to be ineffective in war against the Germans. Due to his racism, Hitler believed that Germans were racially superior to Russians, and therefore they would beat them again just as badly as they had in WW 1.
Credit must be given to many different countries for Germany's defeat. It was kind of a team effort. For example, at one point Britain (and the Empire) was fighting alone against Germany. If England had signed a peace treaty then, it's possible that the Germans would have won WW 2. Or to be more accurate, they would have won "a war", because the World War 2 that we know today would not exist. But whatever name that war would have been given, Germany would have been the clear winner, unless Canada and Australia/New Zealand carried on the fight with the Royal Navy sailing to Canada. But I'm not sure I that scenario is likely. So England gets the credit for keeping the war going until Hitler makes his first big mistake. That's like a goalie in sudden death overtime making a big save. i.e. it doesn't win the game, but it prevents you from losing immediately. In the end, it was Russia that made the big stand against Germany, and found ways to win. They did get a lot of equipment from the USA, so credit is due there, too. But sending over trucks to Russia is kind of like giving hockey sticks and pucks to the home team (continuing the hockey metaphor for winning.) What wins the game is scoring that final goal in sudden death overtime, and there is no doubt that it was the Russians who surrounded Hitler and compelled him to commit suicide. That is the puck going in the net, and it was the Russians who finally did it. Of course, the Americans were not far behind in reaching Hitler. If the Russians had decided to stop at the German Border, I'm sure the Americans could have finished Hitler off, hypothetically. But there is a difference between "could have won the war" and "won the war". There is also a difference between winning a war single handed, and doing it with the help of powerful allies. "How would the world be if the powers that were would have used a little logic and stopped Hitler before he could trump all of Europe?" The answer for Nathan from Utah, USA? If we taught logic in schools, Nathan would know that you would not use "logic" to stop Hitler. You would have to use the much more powerful form of human thinking called "hindsight". But the people before WW2 did not really know the history of WW2, as it was not taught in school. That's because it had not happened yet. The jury was still out on whether Hitler was a great leader, or the world's greatest arch villain. Even in the USA, you had a lot of people who thought Hitler was a pretty decent guy. For example Henry Ford and Charles Lindbergh. Also note that in the USA, in 1940, the war was not considered to be important enough to have any Americans get killed over. But if we could have sent a message from today back in time to 1935, I'm sure the USA would have declared war on Germany before Hitler could trump all of Europe. Or would it? 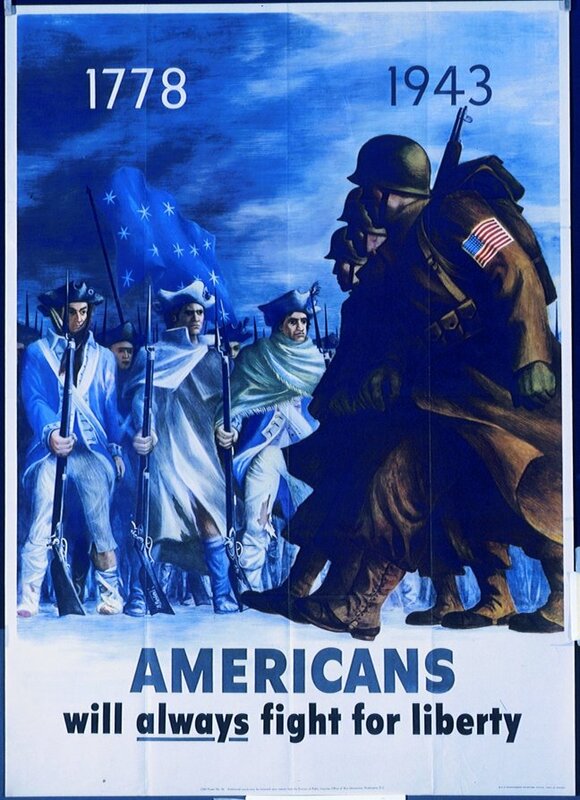 Picture: An American propaganda poster. It attracted my attention because I thought the guys in the white sheets were the KKK, but no, if you blow up the image it is white revolutionary war uniforms. Apparently, a tempest is brewing over American Exceptionalism. It started this way. Syria's president, under attack by rebels, allegedly used chemical weapons (like nerve gas) to kill many innocent civilians. President Obama, having warned Syria previously that the use of such weapons would not be tolerated, began to make preparations to bomb Syria as punishment. This bombing did not have the approval of the UN, because Russia is an ally of Syria, and would veto the move. Russia proposed a plan where Syria would hand over all it's chemical weapons to an international agency for destruction, and sign the international ban on the use of chemical weapons. Obama cautiously agreed to this solution. Next, in an unusual move, Russian President Putin took out an ad in the New York Times. In his ad, he explained his side of the story to the American people. 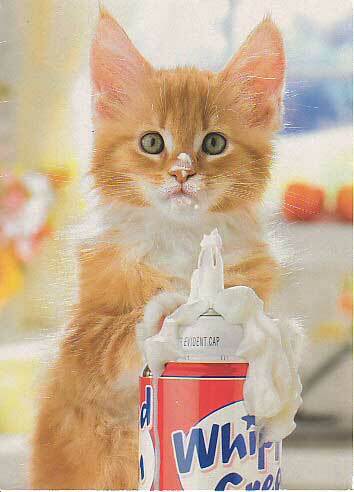 He said that the chemical weapons attack was a fake by the rebels to encourage the US to bomb the Syrian Army. And he apparently made some negative comments about "American Exceptionalism". So what is American Exceptionalism? There is an entry in Wikipedia to help define it, but not all Americans agree on this definition. Apparently, to American right wing extremists, it means that America is the greatest country on Earth, and consequently, international law does not apply to them. (One reason why the USA does not support the International Criminal Court at The Hague). In other words, they may bomb whoever they like (e.g. Serbia), and invade any other country that they consider to be a potential threat (e.g. Iraq). Putin warned that this "exceptionalism" idea is dangerous to world peace. He probably got this idea from the Russian experience in World War 2, where they were invaded by a country whose main philosophy resembled the extremist interpretation of "American Exceptionalism". So given the many millions of Russians killed in that war, which the Russians eventually won (With American aid, I might add), it would be natural for Putin to make such a statement. Because whether or not American Exceptionalism is dangerous, other countries may adopt similar postures, and begin to flout international law. But the fine points of this debate seem to be lost on the American Conservatives. Fox News, and The American Spectator are some examples. 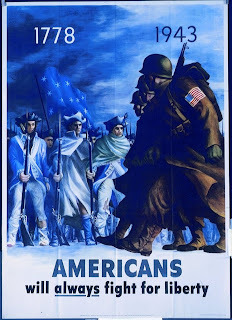 Is American Exceptionalism real? Well, if it ever was real, it is getting less real all the time. The first indication of being a truly exceptional country is to have a well educated, well informed, and tolerant population. This ignorant fury by some conservatives demonstrates just how unexceptional Americans are. Every country in the world has a portion of its people who are easily brainwashed, greedy and bloodthirsty. We are really all the same, although Putin did also say we were also all different. 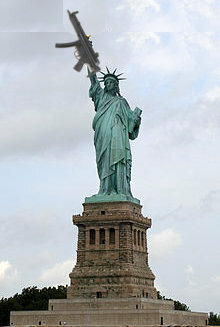 Picture: I photoshopped the statue of liberty, replacing the torch with the gun.